I have to admit I never really understood the Softube Console 1 until I started to use it. I remember the first time I saw it last year and I couldn’t help thinking to myself, oh another control surface, it’s not like we don’t already have too many of them and I have never been a huge fan of those kind of things. I had a Focusrite Liquid Mix and soon sold it, I’ve got numerous other controllers for Pro Tools, but when push comes to shove I still end up using my keyboard and mouse, for me it’s just the way that works best for me. Until now. I’ve not really had a lot of in depth conversations with the Softube gang about the Console 1, we are buddies so most of our conversations are usually about the Saunas, Abba, The Chef from the Muppets, Ulrika Johnson, Volvos, Meatballs or IKEA furniture. So having missed out on the chance to grill them regarding the Console 1, I have to guess what was going through their minds (other than Ulrika Johnson) when they decided to create the Console 1. There’s a nod in the manual to the fact that too often we mix with our eyes, rather than our ears, so I’m guessing this was one of the core ideas when the decided to make the Console 1. I’ll get to the meat of the review in a minute but at the very outset I do think they missed a huge trick with the name, after the bar being set so high by IKEA calling everything from Billy to Skanka (really) I wish the guys at Softube had given this baby an equally fun name – perhaps Miksbich? I might see if they will run a contest to give this baby another IKEAesq name. Anyway, enough rambling for one review – the Console 1. A box, a mixer, a USB lead. Simple as that. The hardware is built like a Volvo and could double up as a deadly weapon, in the event that some scumbag tries to rob you in your studio then the Console 1 would do the trick at flooring them. You go to Softube register the serial number and then they deposit a licence to your iLok account. You need an iLok account, but the Console 1 license is the new type of iLok license that can be placed on the computer. So no iLok hardware required. The user can install the license on three different computers, then you download the software which is a new version of the Softube plug-in package. It installs Console 1 as plug-ins on your computer. You plug the USB cable into the back (no annoying PSU) and start your DAW of choice. Then you simply insert the Console 1 as a plug-in on every channel you want to use it on, I decided to put it on every channel, as suggested in the manual (which I read after using it, not because I had to). The CPU usage is low and should allow an instance of Console 1 on every channel of even big mixes. So now my mix has an SSL4000 on every channel, plus a few other goodies such as transient processing and Drive that can be used to add extra warmth or sheer filth, depending on how hard you drive it. I tried two mixes with the Console 1, one of James’ tracks with a live set-up of guitars, drums, bass, keys and vocals and one of my new tracks with lots of Vis. You may have read a recent article I wrote about my go-to plug-ins that I use for mixing, I decided to not use those and simply use the Console 1 SSL4000 for all EQ, Filters and Dynamics. The only thing I used other than the Console 1 was a reverb and delay. However as there’s no visual feedback on the Console 1 to tell me what is on each track I had to revert to the screen, I suppose I could have simply soloed each track to check what was on it, but even a simple read-out to tell me what was on each track would have been nice and then I could have turned my monitor off altogether. Anyway, without getting too wrapped up in the operation, what about the sound? Well, let’s be frank SSL would not have endorsed the SSL4000 model if they had any doubts about the emulation created by Softube. Setting the endorsement aside, the sound of the SSL emulation (the first of many Softube Console 1 plug-ins we understand) is great, offering all the tools you need to shape the sound of a mix, I even threw it across the mix buss and used it as a buss compressor. The Console 1 is not a control surface, it doesn’t simply offer you the chance to manipulate anything on the screen with assigned knobs and buttons and this is where it excels in my opinion. It’s the closest thing I’ve found to date that allows me to mix as if I really had an analogue console in front of me. The Console 1 is a well thought out attempt at giving mixers an entire analogue console in front of them, without of course the need for a huge space to put it and the huge electricity bill to power it. 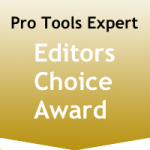 We have a tradition at Pro Tools Expert at reviewing stuff before we read the manual; it’s our test of how well a product has been created. I used the Console 1 without looking at the manual once, even down to figuring out how to name and move tracks and many other functions. One gripe I do have and I made it when I first saw the Console 1 is the lack of a fader for the volume. I think the reason for this thinking is that it would have increased the final price… shame; even if it had added £50 to the final price I would have paid it. Perhaps it’s the same conservative attitude that stops be buying a Kindle instead of books, but I miss the fader, it’s not enough to be a deal breaker it’s just a shame… Console 2 perhaps? Has the Softube Console 1 changed my mind about control surfaces? No. BUT! The Console 1 is not a control surface; it’s the closest thing to having an analogue mixer, without all the downsides. I didn’t understand the Console 1 before, but now I do and I love it, it offers the person who wants to mix on a large format console, but can’t afford the money, the space or the electricity bill a new way of doing that. Of course it won’t replace large format consoles, but that’s not what it meant to do, but it will find a home in both fans of those consoles and for those who want to find a way of mixing that doesn’t involve looking at screens. It’s fully understood why so many plug-ins have cute and often skeuomorphic designs, but if we are not careful we end up having the wrong sense seduced and the graphics end up doing to us what the Sirens tried to do to Odysseus. It still seems that the jury is out on the future of mixing, but the for me the Console 1 seems to do something that many of the other solutions seem to still fail to manage and that’s taking us back to mixing with our ears. Anything that achieves this has got to be a good thing in my book. It’s not cheap at around £650/$1000, but it is a lot cheaper than the alternatives, it’s easy to use, works with the minimum of fuss and promises a lot more iterations in the future… it’s a new way of mixing which I don’t think most will understand until they use it. An utterly brilliant invention from the Swedes, it gets my Editors Choice. 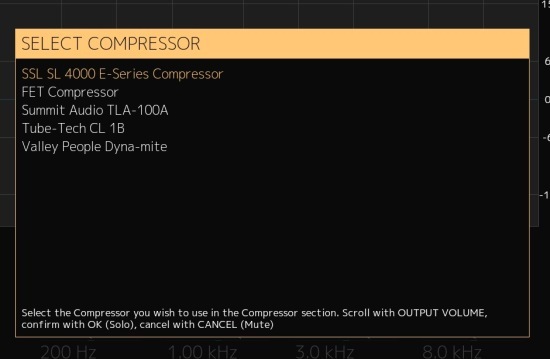 Customize the channel by adding any compatible Softube equalizer or dynamics plug-in. No track name display on the hardware.